Essex, which includes Essex Junction, is located east Burlington, between the majestic Green Mountains and Lake Champlain. Essex is a modern suburban community, with down-to-earth and friendly Vermont character. The town has a nationally recognized school system, which helps to make Essex a great place to raise a family. Keeping active is easy in Essex with its many gyms and workout centers. The town has a highly acclaimed parks and recreation program, which provides affordable programs to keep your family active and healthy. Essex has two 18-hole golf courses, numerous tennis courts, a six-lane outdoor pool, 27 parks, and a Family Fun Center with batting cages, mini golf and a driving range. The town offers trails for cross-country skiing, has both indoor and outdoor skating rinks, and indoor soccer facilities. Essex is home to the Champlain Valley Exposition, a special events center which puts on large and small educational, agricultural, commercial, and entertainment events year-round. Most popular is Vermont’s largest fair, the Champlain Valley Fair. The 10-day event is an annual end-of-summer community tradition that features concerts with popular artists, community arts & agricultural contests, animal exhibits, a wide variety of food, thrilling rides, and entertaining shows. Essex is home to The Essex Experience - formerly The Essex Shoppes and Cinema, which has local Vermont Specialty Shoppes, as well as National Factory Outlet Stores such as Brooks Brothers, Carters and G.H. Bass & Co.
Visit The Essex Resort and Spa for an exquisite culinary experience or enjoy relaxation through complimentary use of steam and sauna rooms, fitness center, pools, hot tub, and tennis courts before a treatment at the full-service spa. Including an 1820's farm house being sold "as is" on 74.13 acres. Land has potential for development, but not sub-dividable. 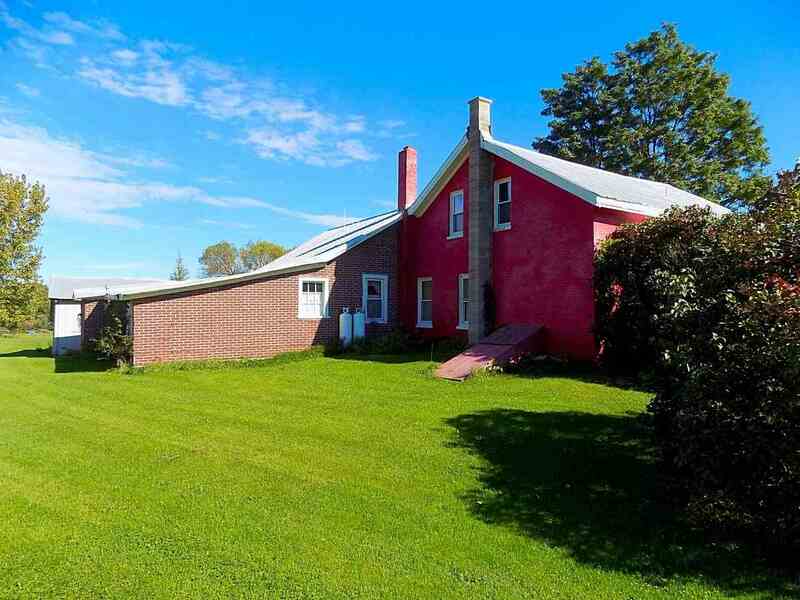 Lovingly maintained Farmhouse with 5 bedrooms, 2 baths plus tons of charm and character nestled on .91 acre lot with 2 car garage. 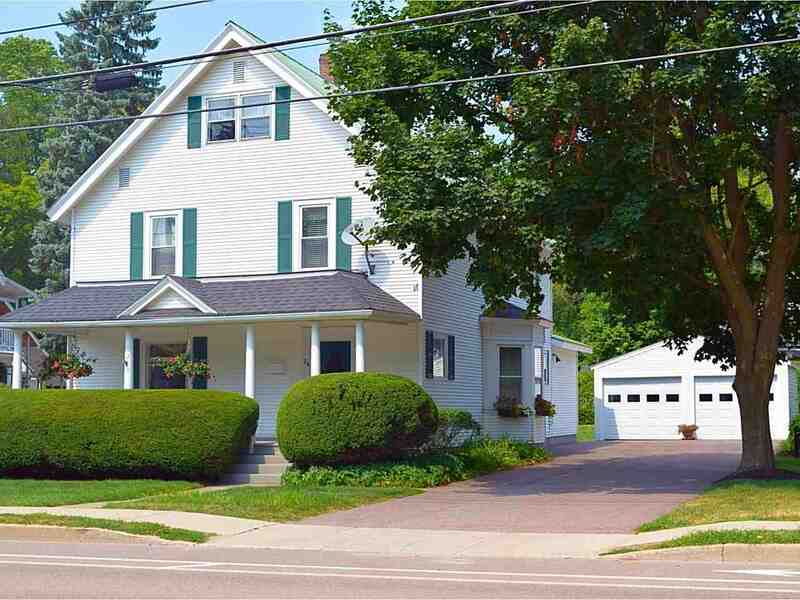 Wonderful home with lots of character that has been updated. Elegant foyer w/open staircase.